Next Edge Capital is pleased to announce the addition of two investment professionals to it’s growing team, Andy Dayes and Brooke Biscoe. Andy joins us as Executive vice President and will be optimizing Next Edge Private Debt Fund’s risk management and operational processes. Andy comes to us with significant experience in the field. Brooke has joined as a Senior Analyst who will be working closely alongside Andy. Brooke joins us having previously worked at a debt rating agency. 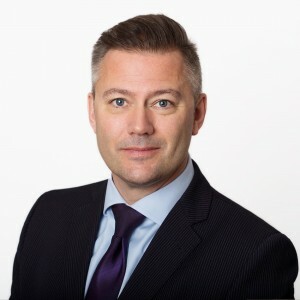 Andy Dayes has over twenty years of experience in financial services, bringing strong and varied experience in many facets of the industry, with work experience in Canada, the US, and the UK. Immediately prior to joining Next Edge, Andy was a Managing Director with Integrated Asset Management Corporation’s Private Debt Group originating, structuring and managing senior debt facilities for mid-sized Canadian companies. Prior to IAM, he was a top sales leader with an asset-based funding group of Wells Fargo Bank, covering North America as a subject matter expert on securitization and doubling the group’s assets under management within two years. Before joining Wells Fargo, Andy co-founded Efficient Capital Corporation, a Toronto-based boutique structured finance firm that pioneered the use of a structure that allowed non-investment grade Canadian and US corporations to access capital markets pricing via an investment-grade-rated commercial paper conduit. Efficient Capital funded over $1 billion of assets and attracted the Ontario Teachers’ Pension Plan as a key shareholder and institutional funder with the commitment of a $500 million funding facility. Andy is a Chartered Financial Analyst Charterholder. Brooke Biscoe joins as Senior Associate. He will be responsible for financial research and portfolio monitoring. 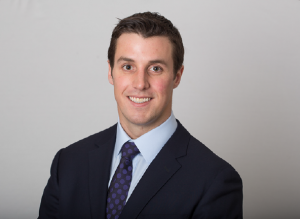 Prior to joining Next Edge, Brooke spent three years at Standard and Poor’s rating middle-market bank loans before moving to Canadian Corporates where he covered Retail, Capital Goods, Transportation, Autos and Gaming. Previously he worked at Aberdeen Asset Management and Scotia Capital. Brooke earned his B. Comm (Finance and Entrepreneurship) from the Sauder School of Business at the University of British Columbia. He is a CFA Charterholder.